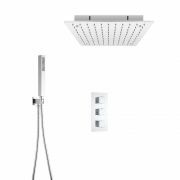 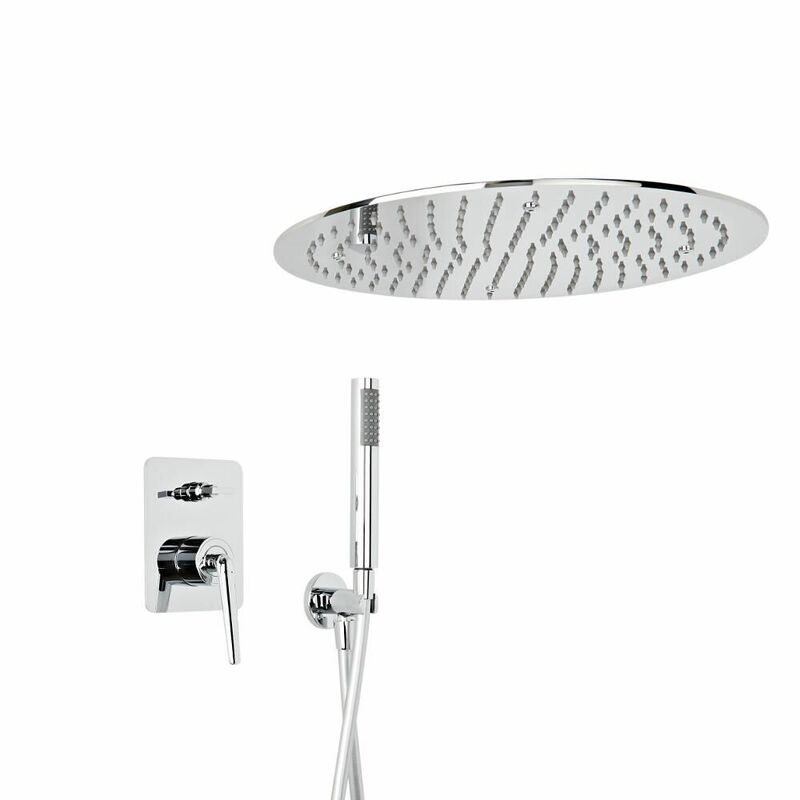 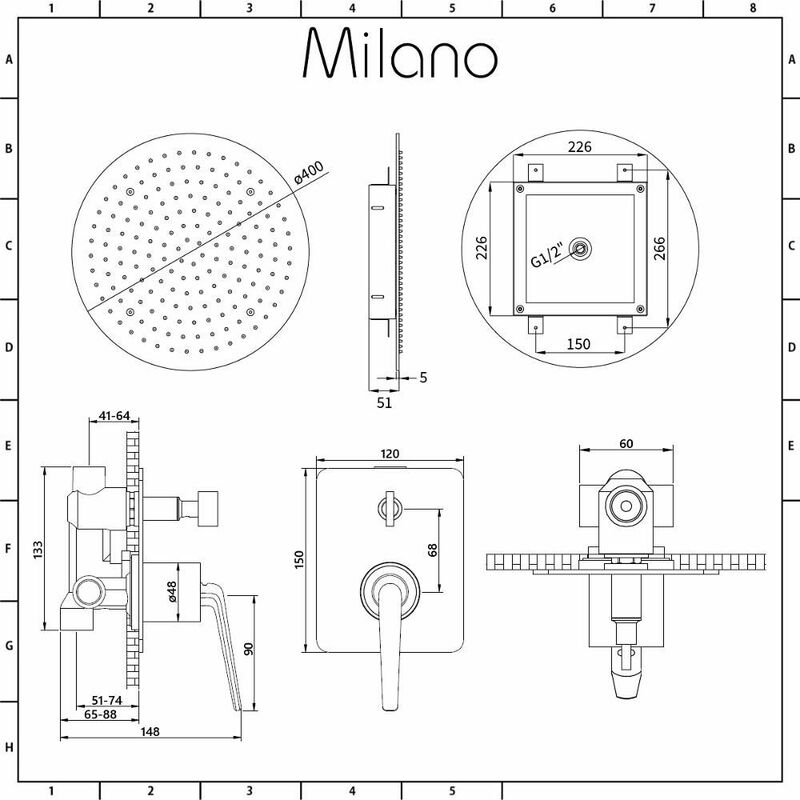 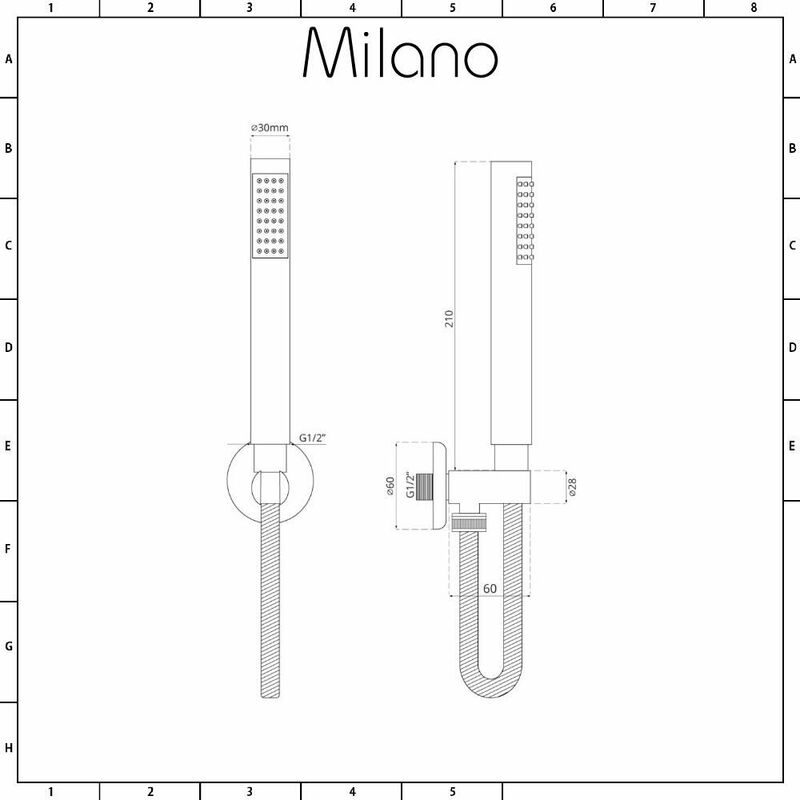 Get the designer look and shower in style with the Milano Vora manual diverter shower valve, 400mm recessed shower head and hand shower kit. 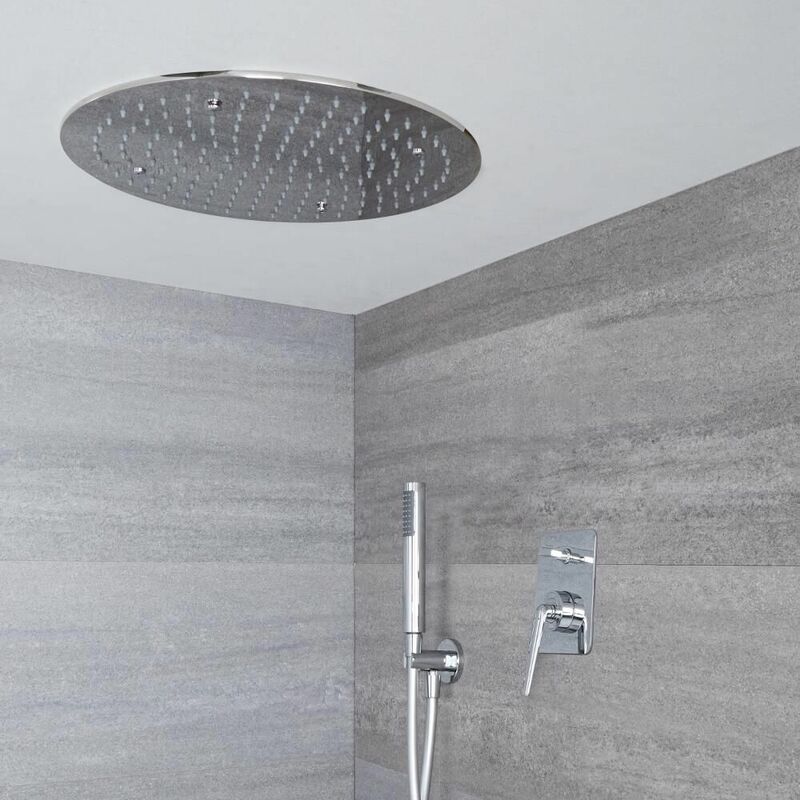 Delivering a refreshing rainfall effect through its 164 nozzles and 400mm diameter, the shower head fits into the ceiling, creating a super-sleek finish. 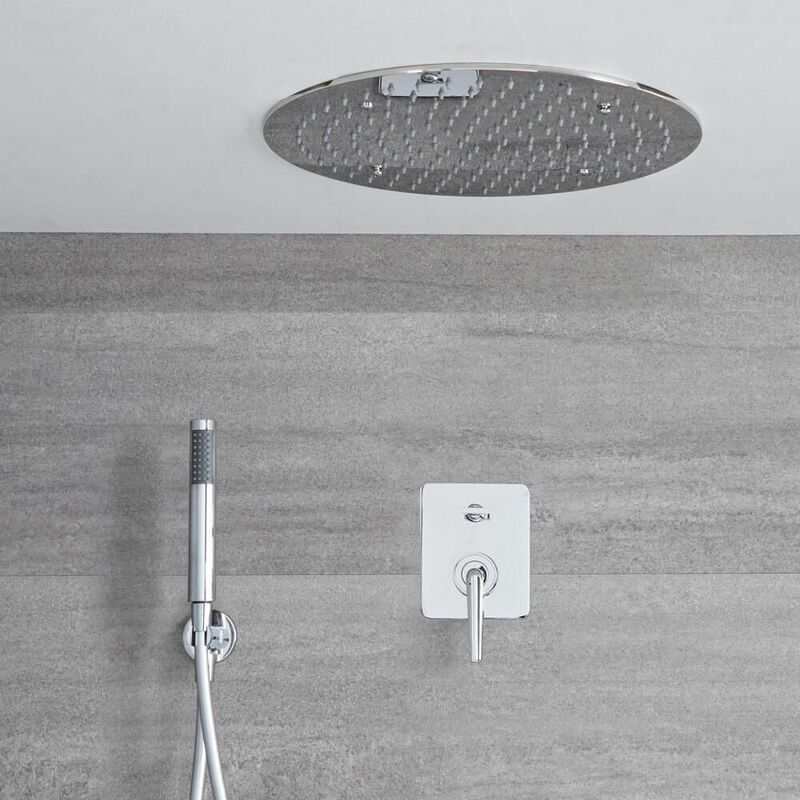 Its nozzles are made of silicone, making any limescale deposits easy to wipe away. 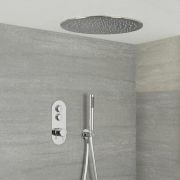 The hand shower uses 32 easy-to-clean silicone nozzles to deliver a refreshing spray of water. 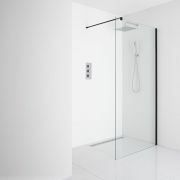 It can easily be removed from the bracket and uses a 1.75m stainless steel, flexible hose, allowing for both a luxurious water coverage and easier cleaning of your enclosure. 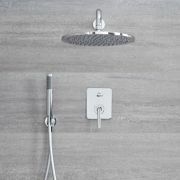 The solid brass shower valve incorporates a diverter, so you can switch between the recessed head and hand shower with ease. 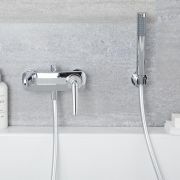 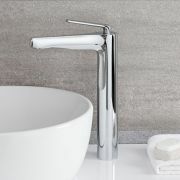 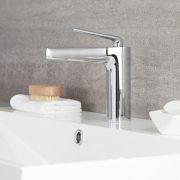 It features a durable chrome finish and an easy-to-use lever handle that controls both the flow and temperature of the water. 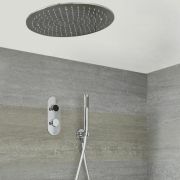 The shower incorporates ceramic disc technology, which prevents any leaks or drips.